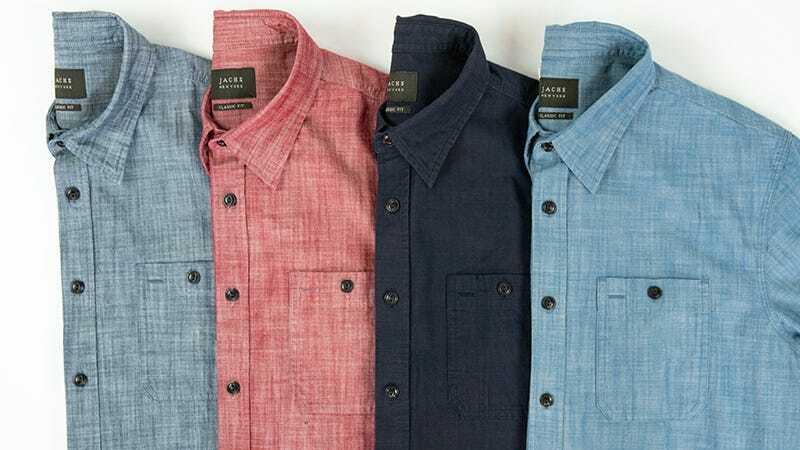 Jachs NY’s collection of denim and chambray shirts features 100% cotton classic fitting styles that are light and breathable. Perfect for the transitional Fall months, choose from over eight styles including slub chambray and western denim. Originally $79, use code INVENTORY50 to save 50% on any shirt. Full details here.